At AASC, we offer our patients dermal filler procedures using the latest techniques and highest quality products. Under the guidance of Mr Allan Kalus, esteemed Melbourne plastic surgery, our team of injectors are trained in the art of aesthetic judgement. Our injectors are trained in facial aesthetics and symmetry and work closely with all our patients to ensure a natural and satisfying result. Our injectors are experienced with the needle, cannula and electronic devices which enables them to choose the best option to create the ideal outcome for each client. To discuss dermal fillers with our experienced team, contact us today on 1300 235 420. How can fillers help me? Dermal fillers can be a safe and effective way to attain healthy, rejuvenated looking skin. A non-surgical treatment, dermal fillers are injected below the skin and are designed to help combat the signs of ageing, and can be effective at adding shape to the face and proportion to areas of concern. Compared to other anti-ageing treatments, dermal fillers are not permanent and can give your face a softer, more youthful appearance. It is a fast and simple procedure with immediately noticeable results and most patients find there is minimal pain. Despite having different actions, anti-wrinkle injections and dermal filler are commonly used together. 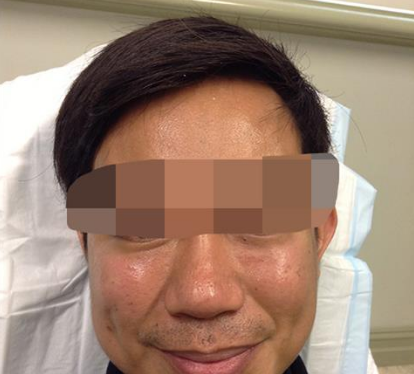 This is a common concern for those who have never had a dermal filler procedure before. We can apply a topical anaesthetic to the area being treated so the procedure can be comfortable. Furthermore, many of the dermal fillers available at Avenue Advanced Skin Care have local anaesthetic incorporated into the product, which means that they will provide additional numbness as the product is injected. 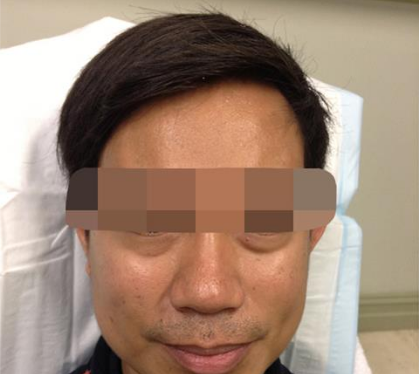 Can I avoid bruising from dermal filler injections? The best way to avoid any bruising is to limit the intake of any blood thinning medications (such as aspirin, warfarin, or any type of anti-inflammatories) as well as over-the-counter blood thinners (like fish oils) in the week prior to your treatment. Will I have any downtime after the treatment? It is normal to experience some minor redness, bruising and swelling, which usually subsides after a few days. In some cases, you may feel a dull ache or tenderness in the treated area for 24 hours following the procedure. What should I do after my dermal filler treatment? Swelling will occur immediately after your treatment, so it is recommended you apply ice packs for at least 10-15 minutes after your treatment. To reduce swelling, we also recommend you reduce the amount of water you drink for the first 24 hours, and to sleep with your head slightly elevated for the first night after your treatment. We also strongly recommend that you avoid strenuous exercise and excessive UV exposure for at least 48 hours post treatment. Dermal Filler for the treatment of eye bags & dark circles. Results may vary from patient to patient. When will I start to notice the results of the treatment? You should notice results immediately after your treatment. Our Nurse Injector can take before and after photos for you, so you are able to clearly see the results of the Dermal Filler. Dermal fillers typically last six to 24 months. Each dermal filler is specifically designed for different applications, and our Injectors will advise you which dermal filler is best for you at the time of your initial consultation.